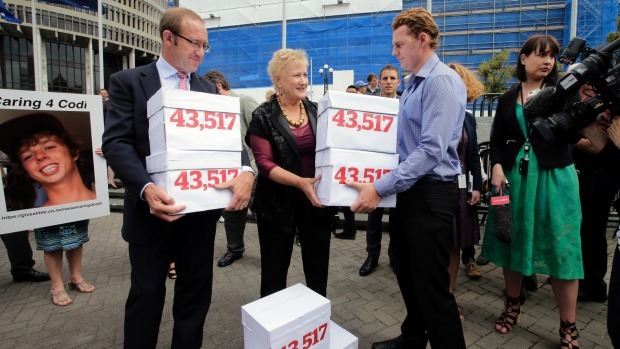 On Monday I teamed up on Newstalk ZB with left wing commentator Josie Pagani to talk about the 11,000-strong petition calling on the Government to fund the new melanoma drug, Keytruda, and the support the campaign has received from opposition politicians, particularly Labour Party leader Andrew Little. The personal stories of people desperate for the treatment are heartbreaking. 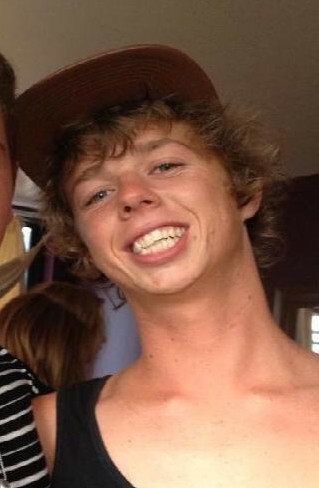 The latest is Codi Morgan (pictured) who at only 21 is dying from melanoma. He is just the latest to turn to a crowd-funding website to find the $11,000 per month he needs for the treatment which his doctors tell him is keeping him alive. Of course even if the budget for medicines was doubled overnight, decisions would still be required by Pharmac in order to allocate the resources — inherently difficult when you are trying to maximise the lives saved with what will always be limited resources. The question is therefore who should make these decisions? The costs and benefits of these medicines need to be weighed up in a rigorous, scientific and evidence-based process. Until recently the Pharmac model, where officials independently analysed and worked to get the best health outcomes from taxpayer money spent on medicines, worked well. Unfortunately the independence of the model is being broken down and it's not the fault of Labour alone. The precedent was set in 2008 when the National Party (then in opposition) campaigned on directing Pharmac to fund the breast cancer medication, Herceptin. At the time, Pharmac was funding the drug for nine weeks, while National sought to have it funded for twelve months. Pharmac's advice was that there would be no added benefits from further funding the drug, and that the $19 million cost of doing so could be better spent on other medicines. By campaigning, and then deciding to fund the medication once elected, the National Party allowed the genie out of the bottle. Politics now trumps science. Coincidently, just before we went on air, Stuff.co.nz broke the story that Mr Little hosted drug company executives at a special dinner in the lead up to Labour backing the Keytruda campaign. This of course is the same Labour Party which criticised Ministers for meeting alcohol industry representatives while the Government was reviewing how it regulates their industry — meetings which, on the face of it, were completely justified. From the perspective of drug companies, lobbying politicians now makes perfect sense. Indeed, they will no doubt hope that other campaigns are launched for opposition politicians go into bat for them. Worse, by the Prime Minister discreetly putting pressure on Pharmac through the media, the Crown's' bargaining position to get the best possible price from the drug companies is undermined. One of the strongest arguments for Keytruda and taxpayer funding of other lifesaving melanoma drugs is that Australia and Britain publicly fund the same. It is these sorts of haves and have-nots which result in living in a country which is poorer than the countries we like to compare ourselves to. It is the human face of running public policy settings which have resulted in lower economic growth and a poorer New Zealand. The Taxpayers' Union uncovers examples of government waste nearly everyday. The $11,000 per month Codi needs to survive is put in perspective by the huge amounts of money we see wasted. Take for example the $140,000 television screen MBIE purchased for their office. Or perhaps the $1.3 billion of corporate welfare we uncovered in the last budget — a sum much larger than Pharmac's $800 million annual budget. 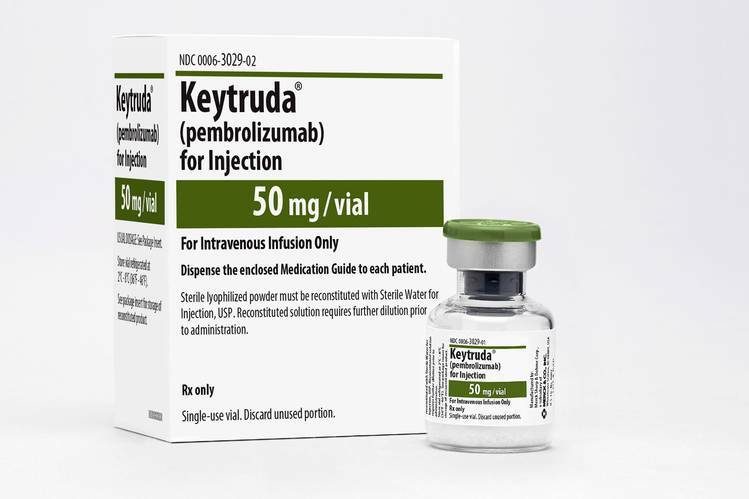 Should Keytruda be funded before other drugs? I couldn’t possibly say. But what is clear is that when the Government wastes our money, they’re wasting money that could save lives. You can donate to Codi's "Givealittle" campaign here.